The good people at Tripbase have been running a blogging experiment to unite bloggers (from all sectors) in a joint endeavor to share lessons learned and create a bank of long but not forgotten blog posts that deserve to see the light of day again. I was nominated by the lovely Sarah Wu, who I thank very much for thinking of me. 2. Blogger publishes his/her 7 links on his/her blog – 1 link for each category. 3. 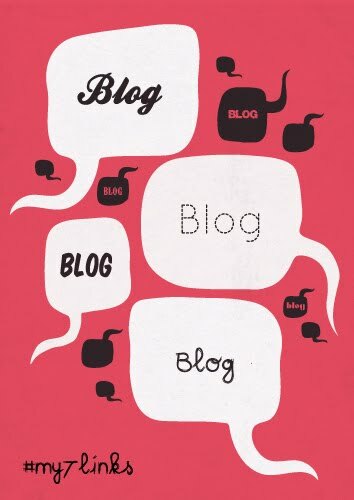 Blogger nominates up to 5 more bloggers to take part. I had received many emails that week where aspiring designers and illustrators were explaining to me just how hard it is to get into the business and how discouraged they are by their friends and family for choosing a creative occupation. At that moment I was staring at an illustration of Spider-man I had just completed, and the topic for the post just came to me. The responses I got, and still receive, are priceless. The Life of a Designer: "I have to pay you?" No other post has made more people laugh or has gotten more widespread support like this one. The true story about a potential client who calls me to ask for design services only to laugh at my quote and tell me I'm crazy. It really resonated with people. It's me at my wittiest and a post I still love to read. This post was never meant to be controversial and judging by the comments you would disagree, but it was the one post that flooded my inbox with email from designers who thought I crossed the line by giving power to the client. They didn't want leave their opinions as a comment for fear of the community backlash, but regardless I felt it was my duty to state what's right in the client/designer dynamic. What is Graphic Design... and Why Do You Need it? This post cleared up what graphic design was for many people who still didn't understand what it was and how it could benefit their business. In it I state how design started, how it evolved, and why you need it. The great part was the comments of thanks came mostly from creatives who didn't know how to explain the importance of what they do to their clients. This post helped to give direction. I thought explaining the ins and outs of logo design would be make for a great post, but I was surprised by the feedback I received. Many people didn't know the difference between the logo, the identity and the brand. The post explained and justified why good designers charge a pretty penny for professional branding services. It's more than just using a computer. It involves skill, planning, research and the right execution. The post tells the story of how I met an incredibly stressful deadline for my client who named me her superhero. I explain who in design we can't just be great designers, we also must strive to establish relationships with out clients. It goes beyond customer service and ensures client loyalty. I had received some great comments on the previous post and even received the same on the one that followed this one, but for some reason this one was left behind. This post tells of how I designed an illustration that I was initially proud of, but was still on the fence about, and how with the help of a fellow illustrator I was able to truly complete the illustration. It took 5 months, but he was absolutely right!